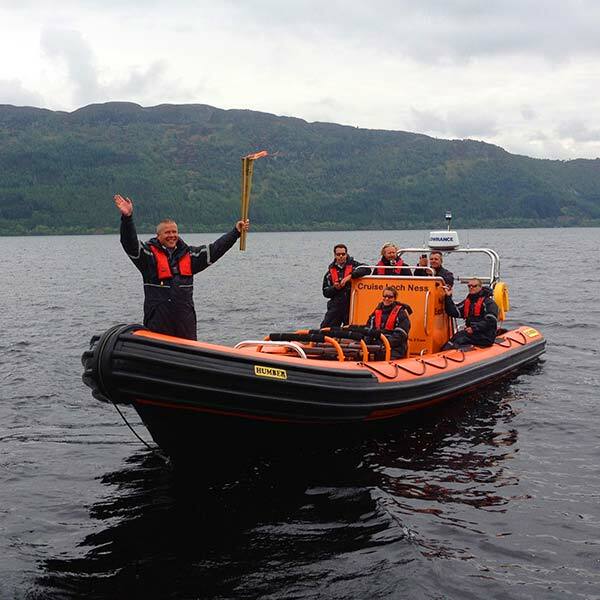 Norman Hugh Mackenzie launches Loch Ness Cruises - a name so perfectly descriptive, we've never had to change it too much - offering cruises over the long summer months with an ex RNLI Liverpool class lifeboat called Clan Mackenzie. We could carry 12 passengers. 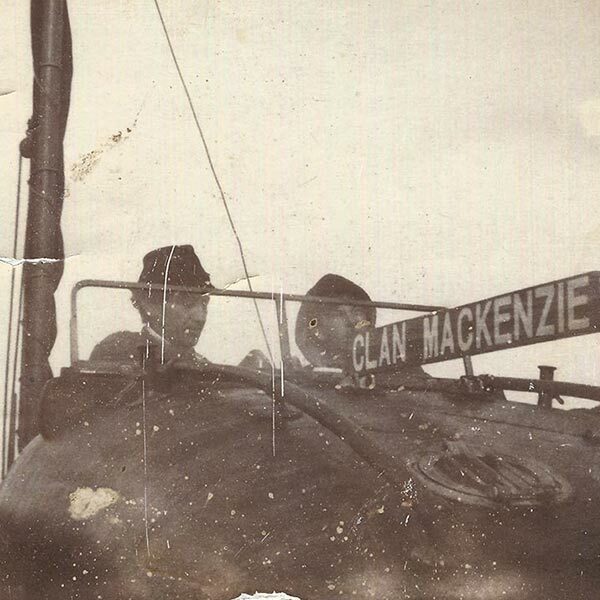 Ronald Mackenzie, son of founder Norman, is born about 4 miles from the bank of Loch Ness. A water baby you might say and a future owner of the business. An extremely proud but very sad day for the whole family. 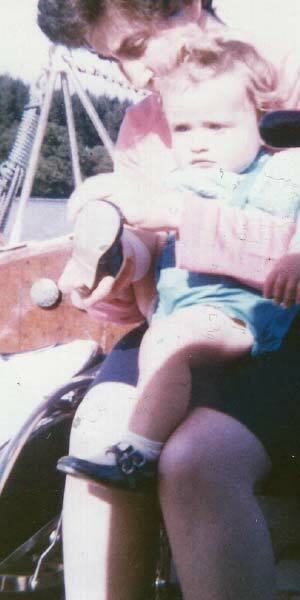 Starlet replaces the family's first commercial boat, the Clan Mackenzie. We love you and always will. The family say hello to our new addition, the Pentland Spray which replaced our beloved Starlet. We purchased this cracking little ex RAF Air Sea Rescue Launch boat from John O'Groats Ferries. 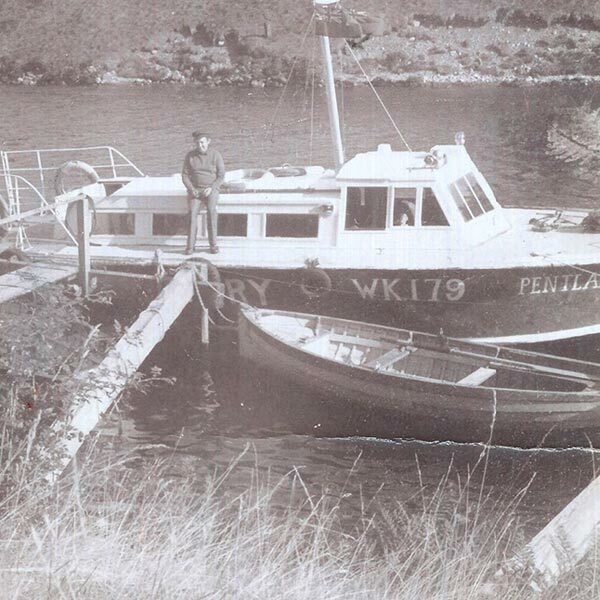 Starting her life as a mail boat from Wick to Orkney, she grew up to bring delight to up to 12 passengers on the beautiful Loch Ness. She even had inside seating! You know it rains occasionally here. Our boat is hired out for the first of many films. 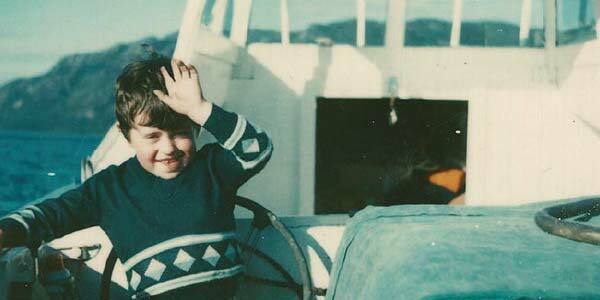 This first one was all about our shy and elusive Nessie. Arthur C. Clarke's Mysterious World programme, titled Monsters of the Lake, featured interviews on board the Pentland Spay. Everyone thought not so old Norman went a bit nuts. 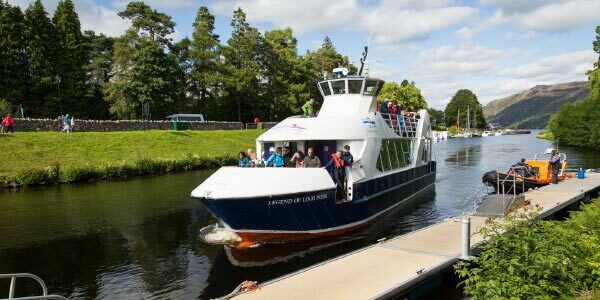 Caledonian Queen replaces Pentland Spray - allowing up to 65 passengers a trip! Norman and his motley crew sailed her from the Menai Strait, North Wales, taking two days to reach Fort William. Possibly because the boat had a bar. Ron, present chief, becomes a partner in the business after harassing his dad to become a partner since 1971. 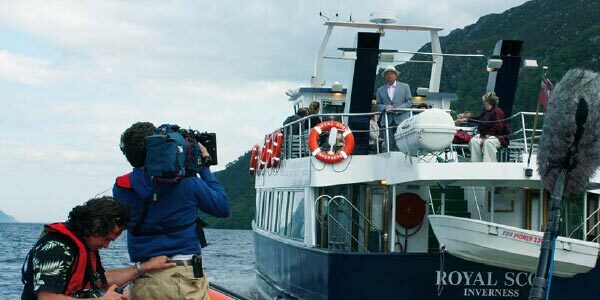 He stamps his new authority by changing the name from Loch Ness Cruises to Cruise Loch Ness. It made perfect sense as there were three other operators on Loch Ness under that name and the others weren't very good. 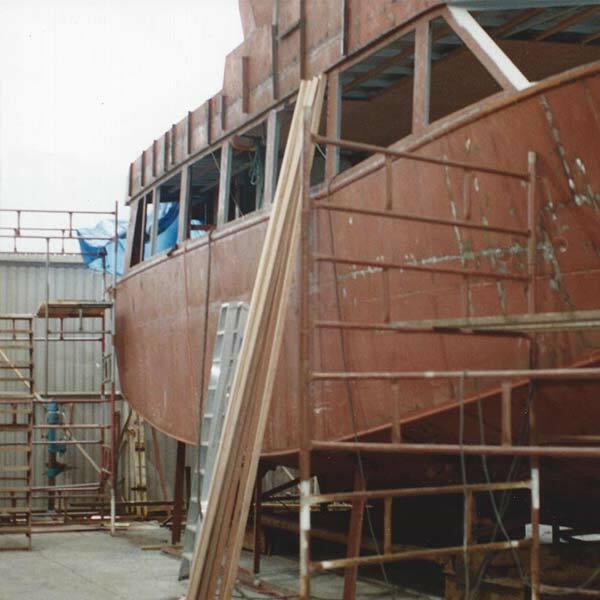 Royal Scot is launched from Voyager Yachts in Cornwall. Ron and five of the shipyard workers sail her home up the West Coast of Britain, entering the Caledonian Canal at Fort William. It took 62 hours of non-stop sailing. And yes, there's a bar on board. 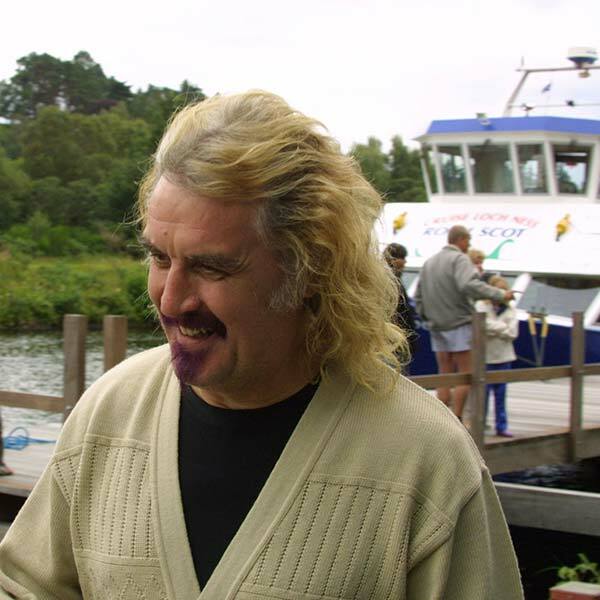 Ron became 100% owner of Cruise Loch Ness. 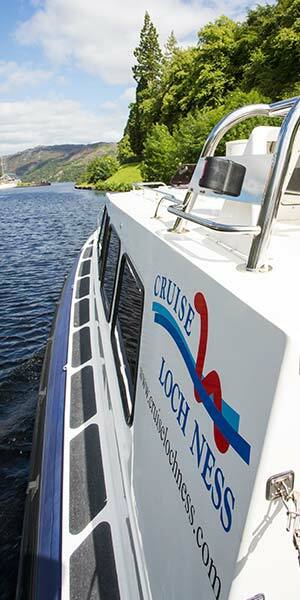 We can now truly call ourselves the best family run, owned and operated cruise company on Loch Ness. 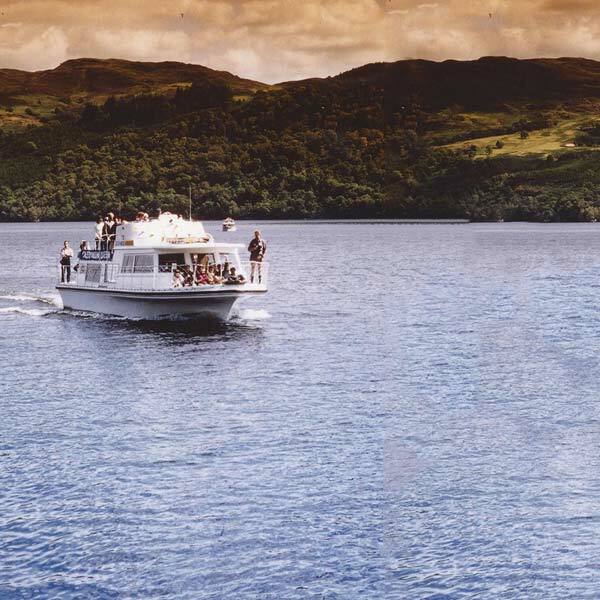 And because it's 2015, we can now say longest family owned cruise company on Loch Ness too! 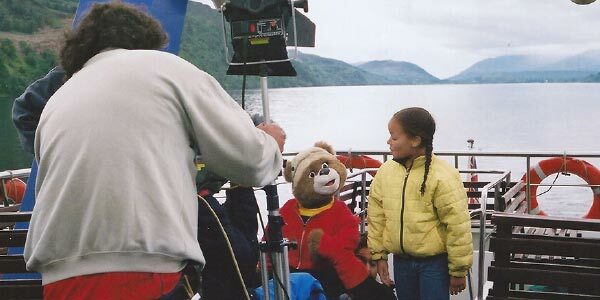 Becky and Barnaby Bear joined us for a search for Nessie for the CBeebies TV programme. Did they find Nessie? You'll have to watch to find out. 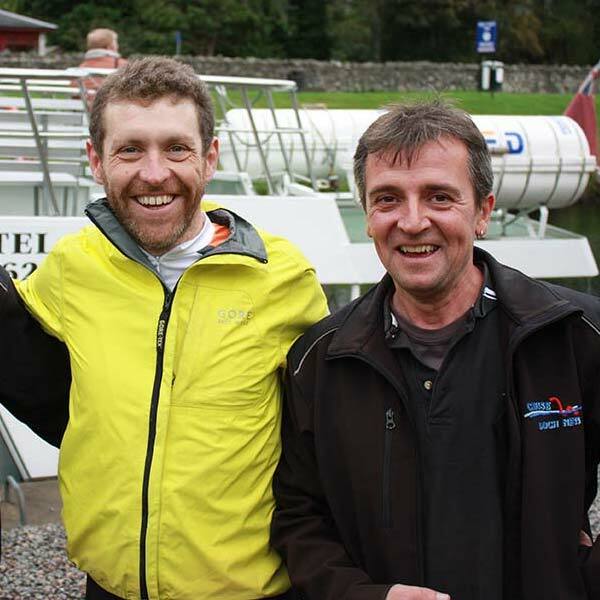 Lovable comedian Dave Gorman jumped aboard one of our cruisers during his charitable cycle from Land's End to John O'Groats. 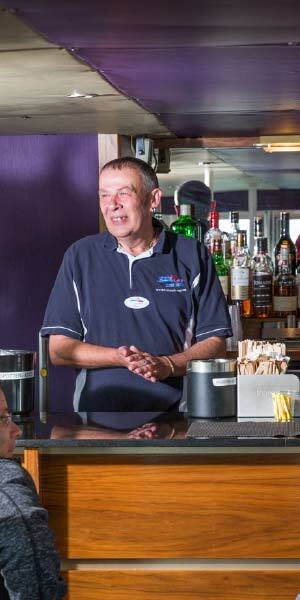 Rumour has it our skipper Ricky gave him a few one liners for his gigs but we find that hard to believe. 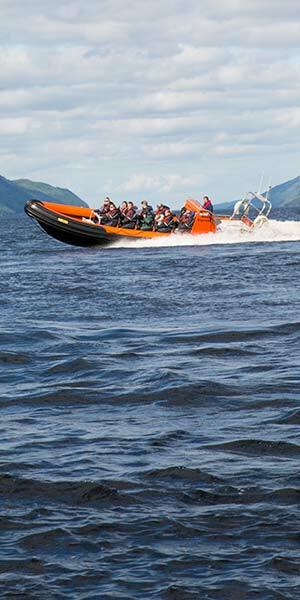 We bought a second hand Rigid Inflatable Boat RIB which could carry 12 passengers at a time. It was summer and we were excited. We sold our second hand RIB and ordered two custom built 12 passenger RIBs: Ness Express & Ness Explorer. We were really excited now - these things can almost fly! 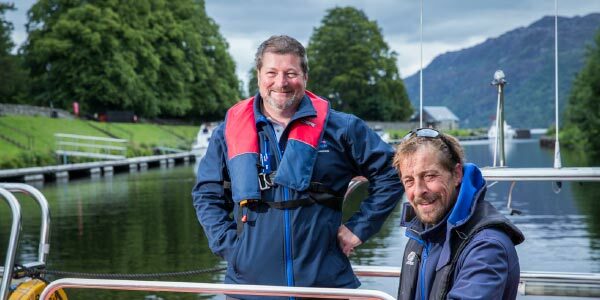 As part of John Sergeant's Tourist Trail ITV show, we welcomed John and the crew on board in summer of 2009, where they caught up with a group of Loch Ness monster hunters. There might have been a bit of swimming too! We love his hat. February in Loch Ness can be cold. Very cold. We're tough though and it was more than a pleasure to invite Fred MacAulay and Dougie Vipond aboard as part of their Up a Long Creek challenge for BBC Sports Relief. 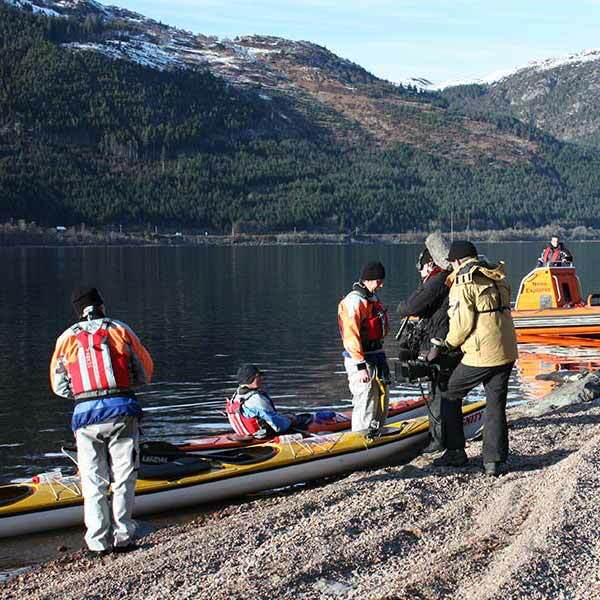 The pair managed to complete a gruelling 62-mile long kayak trip along the Caledonian Canal in some of the worst winter weather we'd experience for years. Good effort guys! Look at these beautiful creatures. It's not just the famous Nessie that attracts attention around here. 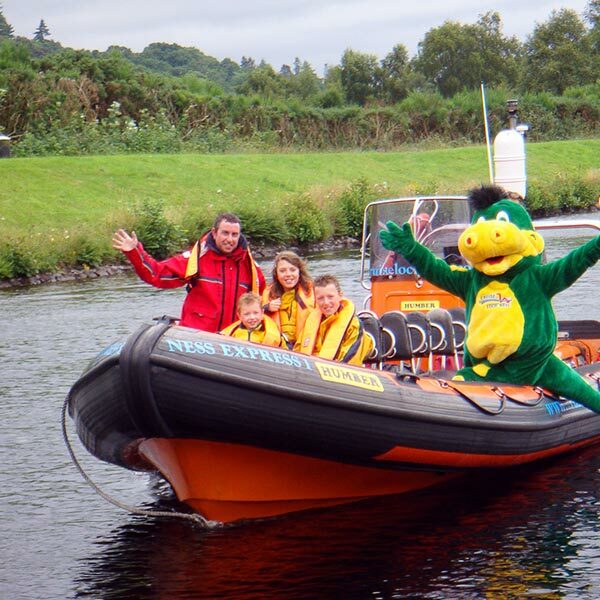 Our crew's like the Top Gear of Loch Ness. The dream team and we wouldn't be where we are today without them. Thank you! 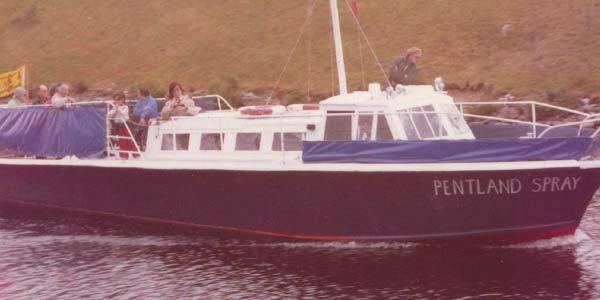 It was time for our second passenger vessel and we welcomed the Caledonian Spirit into our family. 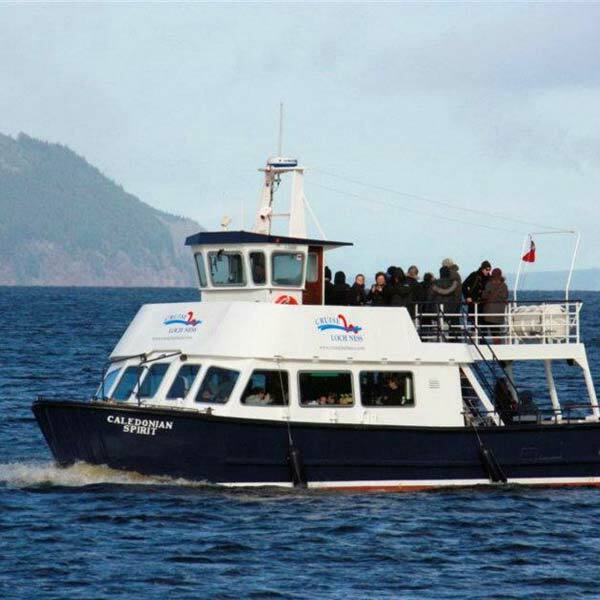 This allowed us to operate all year round, offer unforgettable weddings and carry a total of 238 passengers at any one time. What a day! We carried the Olympic Torch on board Ness Express from Fort Augustus to Dores Beach and onto the main stage at the Rockness Music Festival. We even made it into the opening credits for the Olympics. Deborah Leah becomes the newest member of our fleet. A luxury 12 passenger cabin RIB for the VIP market. It's also available for you, because you all deserve it. Everyone deserves to be a VIP - if just for a day. 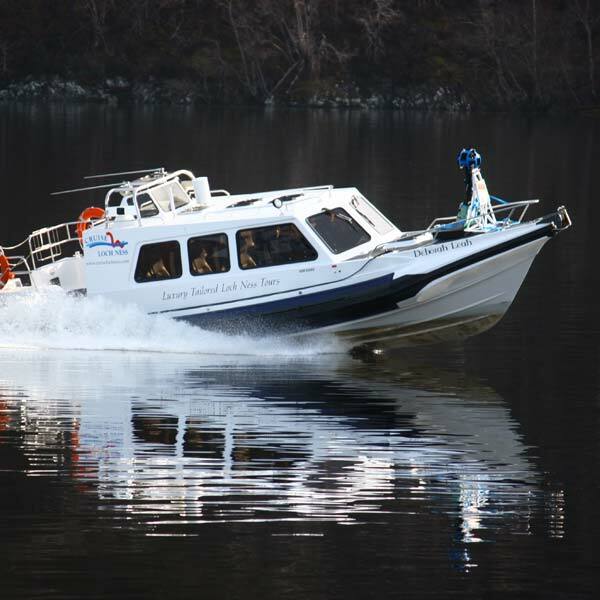 The most stylish and modern cruise boat on Loch Ness joins our family. The Legend of Loch Ness replaces the Caledonian Spirit. There's something in the water! You can now search for Nessie with Google Street View thanks to Google and Cruise Loch Ness. You're welcome. 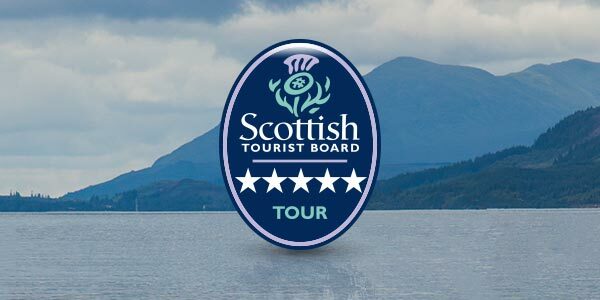 We're delighted to announce our 5 star tour rating from the Scottish Tourist Board. Thanks to all the crew for their hard work, you all rock. 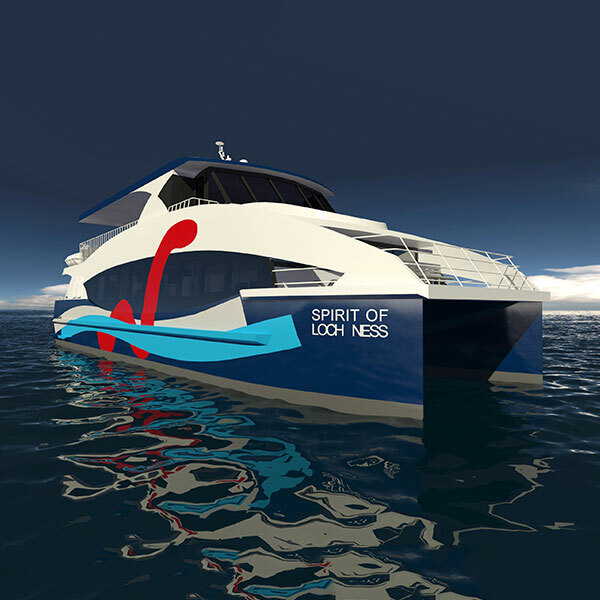 A wonderful new boat coming soon, courtesy of Exeter Fabrication & Incat Crowther design.